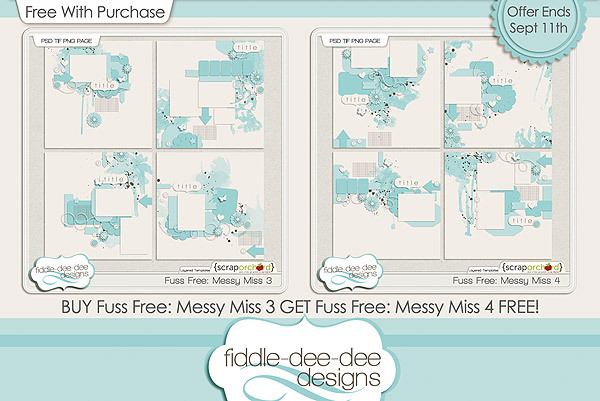 Fiddle-Dee-Dee Designs: Fuss Free: Messy Miss 3 & 4 and FWP Offer! Fuss Free: Messy Miss 3 & 4 and FWP Offer! I often put a good face on the surface of things, when underneath I'm a mess of emotions. Fuss Free: Messy Miss 3 and Fuss Free: Messy Miss 4 are exactly that mix of contradictions ~ a background of watercolor splashes and paint splatters is topped with photos, journal cards,and paper mats with a crazy mix of butterflies, stars, hearts and flowers to cover up the mess! These templates are perfect for art journal layouts, "about me" pages, as well as being versatile enough to highlight a variety of events (and emotions!). Enjoy! I'm so excited to share that you can now use multiple coupons IN ONE ORDER at Scrap Orchard. So if you are purchasing templates from me and use a coupon AND you are purchasing a kit from another Scrap Orchard designer and they also have a coupon, you can use BOTH COUPONS at the same time! Woo-Hoo! We're always working behind the scenes to make your shopping experience as smooth as possible! 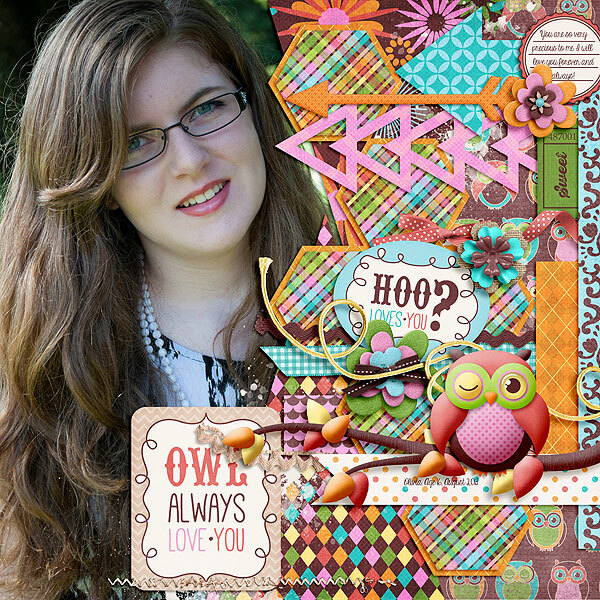 Cheryl's Monthly Template Challenge for August is still in the forum! Make sure you pop over to the challenge forum and pick up this FREE template. The deadline to complete your layout for points has passed, but you can still add this template to your stash! 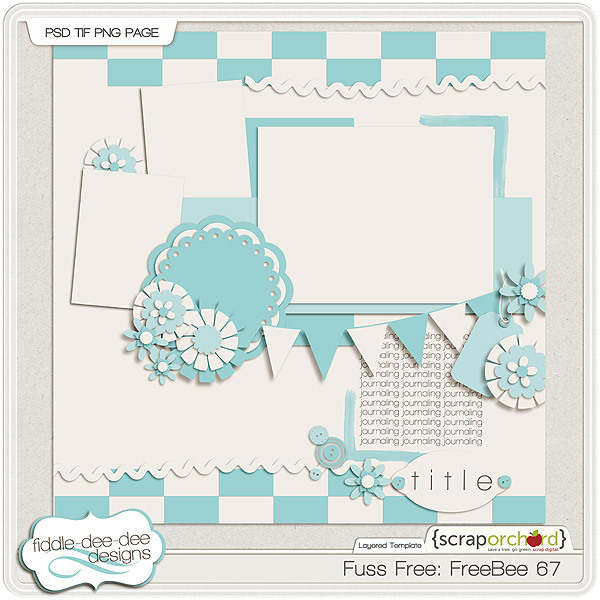 Remember there's also a FREE template for Template Tuesday on the Scrap Orchard blog available for you to download! And finally, I'm so pleased to share that I have a free template over on the My Scrapbook Art Blog for their monthly template challenge. This month, in addition to downloading my free template, if you create a layout and post a link to it in the blog post comments, you'll be entered to win a coupon from Fiddle-Dee-Dee Designs! 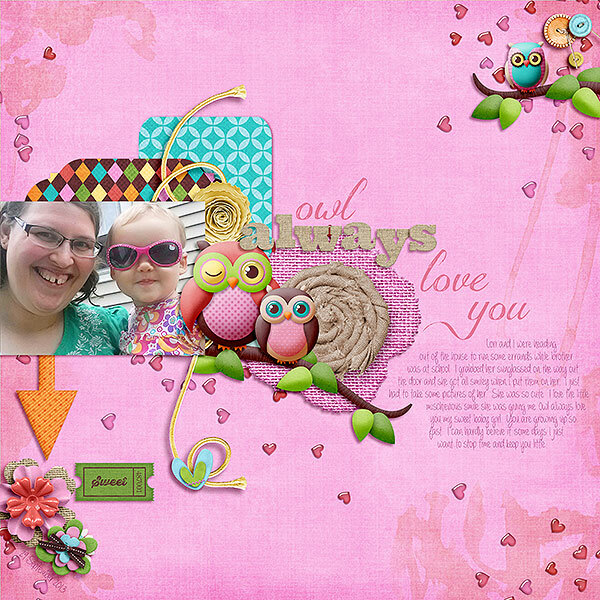 Click on the image to go the My Scrapbook Art Blog to get full details! As always, I've loved having you come by. Each week I hope my templates help you make beautiful memory pages for your albums! Fuss Free: Like Totally 5 & 6 and FWP Offer! Fuss Free: Very Favorite 1 & 2 and FWP Offer!